The rather alarmingly named condition “hole in the head” is a disease that can affect both goldfish and tropical fish, and is often the result of keeping your goldfish in poor-quality water over a prolonged period of time, either due to an overcrowded tank, insufficient cleaning, or water changes that are too infrequent. 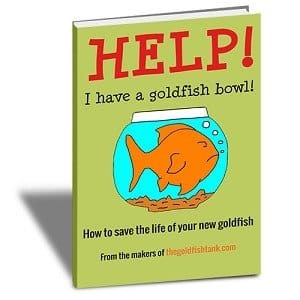 Read on to learn more about hole in the head, plus what you can do to help your goldfish if they are afflicted with this condition. What is hole in the head? 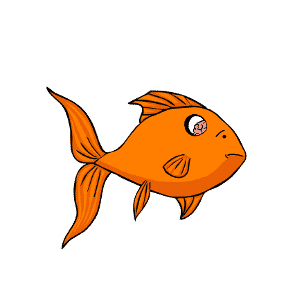 Hole in the head begins with a small sore or sores on the head of your goldfish, usually around the eyes, which grow progressively larger over time and will eventually penetrate the outer layer of skin. This leads to the head of the goldfish taking on a visibly pitted appearance; literally, holes showing in the head of your goldfish. What causes hole in the head? Hole in the head was traditionally thought to be caused by a parasite, although today, there is some confusion over whether or not this is actually the case. Hole in the head occurs almost exclusively in fish kept in poor conditions, and whether or not these conditions cause the parasite to thrive or if they cause the condition in and of itself, the end result is the same. How can hole in the head be treated? First of all it is vital to address the problems that led to development of hole in the head in the first place, such as the water quality, nutrition or lighting, as otherwise the condition will continue to develop and may affect other fish within the tank. Remove any affected fish to a quarantine or hospital tank, and ensure that this is scrupulously clean and kept under the perfect conditions to promote health. 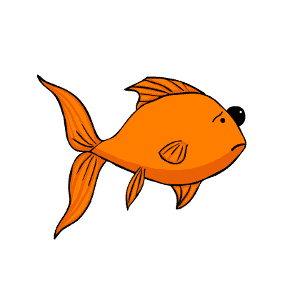 Medications are available to treat hole in the head including Metronidazole, an antibacterial medication, and medicated foodstuffs, assuming that your goldfish’s illness is not so far advanced as to prevent them from eating. 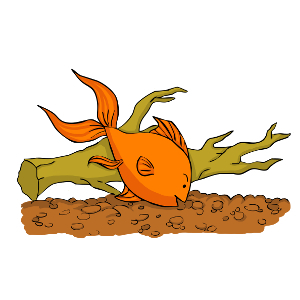 You should also ensure that both your sick goldfish and any other goldfish that you keep are fed a high quality, nutritionally complete food to help to strengthen their natural immunity to various health problems including hole in the head. Using a very mild aquarium salt solution in your hospital tank too can help to prevent additional or secondary infections, and aid with recovery.